Unless Fortune smiles, one does not meet sadhus and saints. And even when such a one is close at hand, to the great sinner he is not visible. 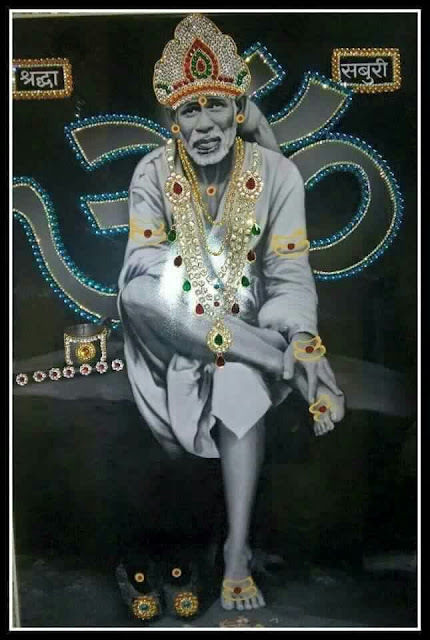 By his good fortune, he was blessed with Sai Baba's company. What is needed is a devotion of love. "Oh! How insincere people are! They will bow at the feet, even offer dakshina, and yet curse you all the time in their heart! How strange indeed!" The volley of accusations that Baba fired at me, the moment I entered, was really only a warning given to me that I should give no place in my mind to reviling, abusive talk about others. It was not a volley of censurous remarks, but his grace to teach me that futile debates and discussions, scornful, critical revealing and such wicked thoughts about anyone, should be given up altogether. Even the most secret matter lies barred before him. Whatever we do and wherever we may be, nothing escapes Sai's knowledge. Sai Samarth knew beforehand what calamities were to befall his devotees and he would avert them in the midst of jesting and joking and playful laughter. Chapter - 21 Shri Sai Satcharita.